Picking up from where we left off in Colorado Bankruptcy Exemptions: FAQs (Pt. 1), below we will provide some more answers to frequently asked questions about Colorado bankruptcy exemptions. When you are ready to receive some more specific answers about your best options for debt relief and what to expect when filing for bankruptcy in Colorado, contact Denver Bankruptcy Lawyer Arthur Lindquist-Kleissler. Q: Is there any way to increase the maximum value of a bankruptcy exemption? A: Yes. 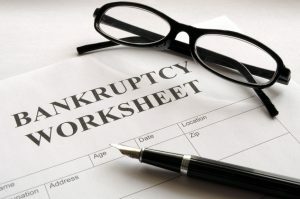 In some cases, Colorado bankruptcy exemptions may be doubled (or increased by some other value) depending on how a person files for bankruptcy and his or her specific personal situation when filing for bankruptcy. Some Colorado bankruptcy exemptions will double when people file for bankruptcy jointly (i.e., file for bankruptcy with their spouse). Some of these exemptions can also increase if a person, his spouse and/or one of his dependents is disabled or over the age of 60 when filing for bankruptcy. It’s important to point out here that these potential increases to Colorado bankruptcy exemptions will NOT apply to all exemptions, so it’s best to get more specific info and professional advice from an attorney before assuming that some of your property will automatically be protected (or sold off) if or when you file for bankruptcy. Q: What about federal bankruptcy exemptions? Can I use these when filing for bankruptcy in Colorado? A: Federal bankruptcy exemptions, which are distinct from Colorado bankruptcy exemptions, essentially work the same in that they offer some protections for people’s property and various assets by allowing them to be exempt from inclusion in the bankruptcy estate. The difference is, however, that federal bankruptcy exemptions may set different values for the property that can be exempt from a bankruptcy petition. While some states allow people filing for bankruptcy to choose between whether they want to use federal or state exemptions, in Colorado, people MUST use the Colorado bankruptcy exemptions. In other words, if you are filing for bankruptcy in Colorado, forget about the federal exemptions – you can’t use them, so don’t worry about them. Be sure to look for the conclusion to this blog series on Colorado bankruptcy exemptions for some more important info. For more than three decades, Mr. Lindquist-Kleissler and the other legal professionals at Lindquist-Kleissler & Company, LLC have been providing both individuals and businesses with the highest quality of debt relief and bankruptcy service. From simple to complex bankruptcy cases, Mr. Lindquist-Kleissler can always be trusted to favorably and efficiently guide his clients through bankruptcy and help them achieve the best possible outcomes to their cases.